To understand the full meaning of a phrase you need to know its context. You need to know this about Argentine Tango: Buenos Aires is where Tango is at home. 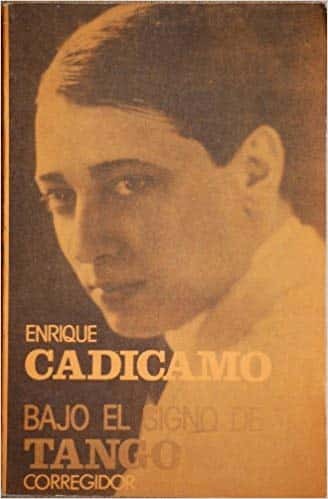 Bandoneon player, leader and composer. He was spellbound by the bandoneon when he heard its sound at cafés in his neighborhood. He was ten when he persuaded his mother into buying one for him. They got it at 140 pesos of that time, to be paid in 14 stallments, but after the fourth payment, the shopkeeper died and no one ever claimed for the rest. With that instrument he played almost during his whole lifetime. Continue reading. A particular rhythm and musical genre. It is hypothesized by historians that the African population of Rio de La Plata used this term in relation to the “payada”, a musical genre in which two individuals compete by playing guitar and improvising verses, asking each other questions. The rhythm of this genre evolved to the rhythm we now know as milonga. When the dance of Tango appeared, it was a technique of partner’s dance used to dance any danceable rhythm. Waltz was the most popular at the time, but soon the milonga rhythm was identified as a better fit for that particular dance technique. 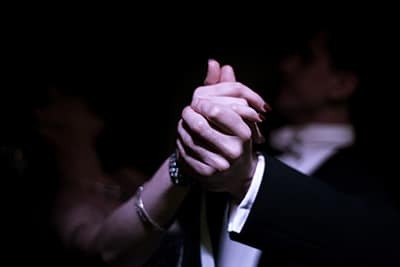 As this rhythm, and the way of dancing to it, grew in popularity, “milonga” also became the name of the gathering and the place where this dance was practiced. The word “Tango” was initially a synonym of the word “milonga”, and they later became the name of two differentiated rhythms. Tango dance parties and the location where it is danced kept the name of “milonga”, as well as its crowd of participants, “milongueros”. Milongas, meaning “Tango dance parties”, have been happening for more than 130 years. During this time, milongas developed a set of codes that cultivate efficiency, maximizing the possibility of great dancers appearing, and allowing the continuity of its existence as a precious cultural gem. At Escuela de Tango de Buenos Aires we provide you with a complete Argentine Tango experience, and Milongas (dance parties) are an essential aspect. Learn more about Argentine Tango and its culture. Let’s dance! We invite you to enjoy our classes and milongas.